First, what are we talking about when we say 45 or 90 degrees? The answer is fairly obvious from the photo above comparing two Glacern Face Mills. Take a look at the angle of the cutting edge on the inserts. Yes! The angle is the angle of that cutting edge–45 degrees for the face mill on the left and 90 degrees for the one on the right. That angle is also called the lead angle of the cutter. So which one will give better results? Of course if you can afford it, it’s great to have both 45 and 90 degree facemills, but what are the pros and cons for each? Cutting forces are better balanced so that axial and radial forces are about even. Lowering the radial forces so they’re more balanced with axial can not only enhance the surface finish, it’s also kinder to your spindle bearings. Cut entry and exit are better behaved–less shock, less tendency to break out. The 45 degree cutting edge is better for demanding cuts. Better surface finish–the 45’s leave a noticeably nicer finish. Lower vibration, balanced forces, and better entry geometry are three reasons. The chip thinning effect is at work and leads to higher feed rates. The 45’s tend to have less tendency to chatter as well. Reduced maximum depth of cut due to lead angle. Larger body diameter can cause clearance problems. Can cause chipping or burring on the exit side of the cutter rotation. The 90 degree version exerts less sideways (axial) force, about half as much. This can give it an advantage where thin walls are concerned because transferring too much force into the wall can lead to material chatter and other problems. It can also be an advantage when it is hard to impossible to hold the part securely in a fixture. 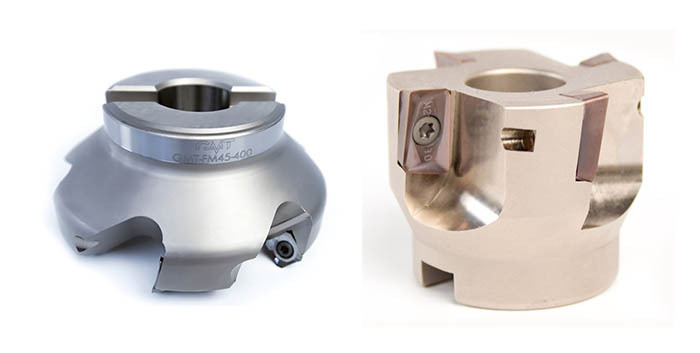 It’s easy to compute Feeds and Speeds to compare these two face milling solutions using our G-Wizard Calculator software (click the link for a free 30-day trial if you’ve never played with G-Wizard). 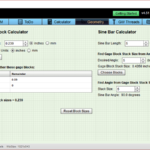 I selected my machine, material, and the indexable tool type. I’m modeling a smallish 2″ diameter face mill with 4 inserts, and I have set the Lead Angle to be 90 degrees. My Cut Depth is 1/8″. I can do that since I will use a toolpath that arcs gently into the cut and I will arc the end of each pass to avoid a sharp corner and also to avoid completely leaving the cut. 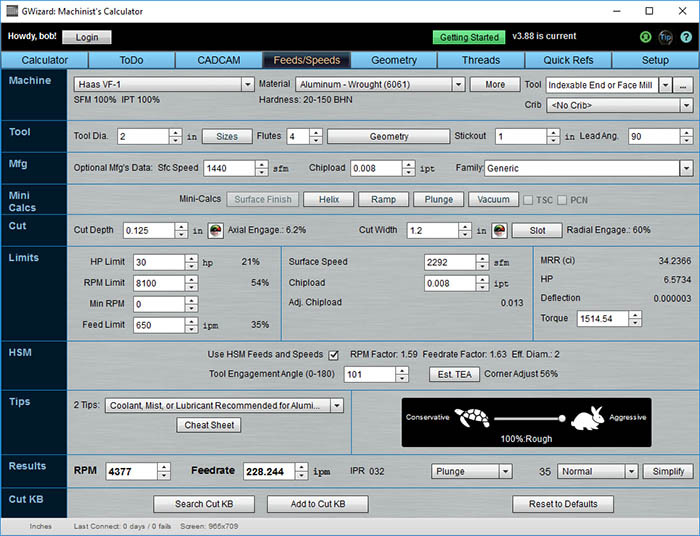 Those are CAM toolpath tricks that can really help you out on tool life, surface finish, and in this case, they let you opt for a big increase in feeds and speeds too. 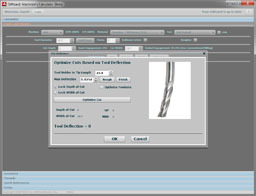 If your CAM won’t do those things the Conversational CNC Face Milling Wizard in G-Wizard Editor will do them very easily. Now we see why the 45 degree models are so popular–that’s more than 40% more material removed. That’s definitely going to pay for the new face mill pretty quickly if you’re using it for very many parts. At one time, octagonal face mills were at war with the 45 degree face mills for supremacy. The octagonal inserts have more edges, so you can rotate the insert if one gets chipped. But, tooling costs are usually only about 3 percent of the manufacturing cost, so the greater efficiency of the 45’s eventually won out. Lately, you can get some face mills that use a 45 degree insert that’s double sided, so we have the best of both worlds since these inserts now have 8 edges like the octagonal inserts. 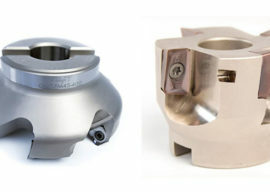 Other alternatives include 75 Degree Face Mills and Button Cutters (Round Insert Indexable Mills). The 75 Degree Face Mill’s primary purpose seems to be providing just a bit more clearance than the 45 degree can. It might be your 3rd or 4th choice if you already have a 45 and 90 and want more options for difficult cases. The Button Cutter (also called a Copy Mill or Toroidal Cutter) uses a round insert and has many advantages of its own. 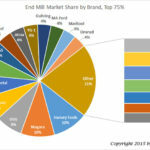 Tough to call a winner with a Button Cutter versus these other Face mills, so click through and see about Button Cutters in their own right. 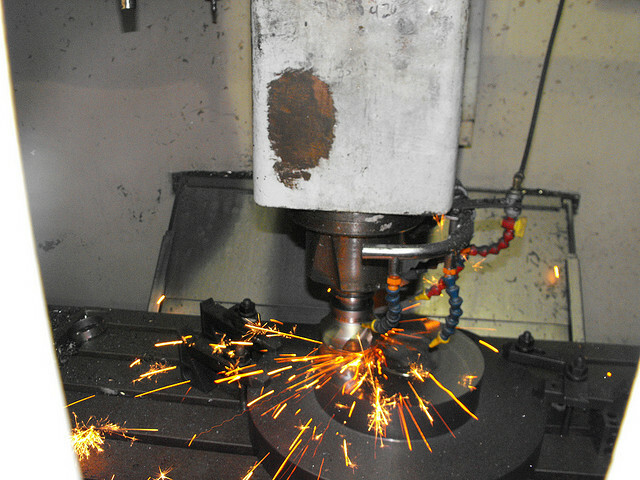 Here’s a 45 degree lead facemill slogging right through a weld–they are a little tougher than 90 degree face mills! I keep a 2″ diameter 90 degree facemill in my shop as well as a 3″ Glacern FM45 45 degree face mill. The FM45 sees a lot more use for sure. One last thought about face mills–they’re horsepower hogs. Don’t try to use too large a face mill on your machine. I’ve stalled the 3 horsepower spindle of my mill running my 3″ pretty easily. Granted, it’s a smaller mill, but you need to keep in mind even if you have plenty of spindle power that the face mill is going to transfer a whole lot of it into your workpiece. Make sure it’s clamped down tight! Note: This is a revised and greatly expanded version of an article I first wrote in 2012. About time! Be careful where you use 45 and 90 degree cutters. A workpiece that is not well supported, will deflect under a 45 degree cutter due to the high axial forces. A 90 degree cutter will produce a more consistent cut and the corresponding decrease in chatter will extend the life of the cutter. Louis, thanks for raising that issue. 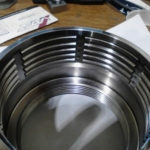 You’re quite correct about the 45’s higher axial forces and the issues they may cause for a workpiece that is not well supported or perhaps that is simply a bit thin. Thanks for the face mill advice! I’ve been curious as to which is better for general use.